So here is the bottom half of my top 10 Rugby Union Biographies (the top five will be in my next post). Read the introduction piece on how I chose the Top 10 here. Stephen Donald has always looked the most ungainly and awkward of players, especially for someone playing at flyhalf. And he had the kicking action of someone with permanently tight hamstrings. But he does have pace and was highly effective in a Chiefs team I used to enjoy watching (the days just before they became a champion team). In truth, Donald’s story would have been an unremarkable one of a journeyman who managed a few appearances with the All Blacks — something not that unusual in the highly competitive New Zealand rugby environment. But because of a series of freak injuries at Rugby World Cup 2011, the man who had been discarded the previous year after a disastrous appearance against Australia in Hong Kong, was brought back in as backup for the final against France. But he more than backed up. One minute he was fishing for whitebait in the Waikato region, the next he was called onto the stage of the Rugby World Cup 2011 Final. He ran onto the field in a tight jersey two sizes too small to kick the winning points for the All Blacks, grabbing the win from France at 8-7. Donald, whose nickname is Beaver, will now and forever be part of New Zealand folklore. And his tale is told in his inimitable style; that of a larrikin, a fun-loving man who got to enjoy not only redemption but also his moment in the sun. The ball kicked by Donald to win New Zealand the 2011 Rugby World Cup has mysteriously disappeared. Read of The Mystery of Beaver’s 2011 Rugby World Cup Winning Ball here. On the 80th minute, all Donald had to do was kick the ball out to finish the game and secure the All Blacks the Cup. He didn’t. If Donald was the unlikely hero, Pienaar was the almost exact opposite. 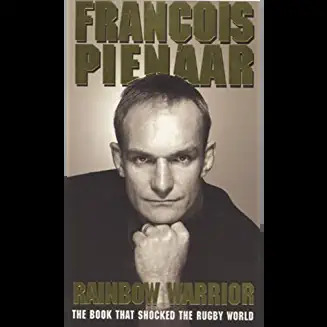 A tough uncompromising flanker reflecting his tough Afrikaner upbringing, Pienaar in his biography gives an insight into South African — especially white — culture, and especially its rugby. A budding talented cricketer who switched to rugby while training to be a lawyer, Pienaar played a leading role in arguably the most memorable moment in world rugby: when Nelson Mandela inspired the Springboks to win the 1995 World Cup. The story was later made into a movie, Invictus, with Matt Damon (5ft 10in, 175lbs) playing Francois Pienaar (6ft 4in, 230lbs). Pienaar writes about his strong bond with Springbok coach, Kitch Christie, as well as touching on the changing landscape of the game in the era when it finally went professional and he was one of its prime movers. For his troubles, he was even labeled a traitor by sections of the South African community for his role in banding South African players against the country’s rugby body. Pienaar was indeed a major player in the sport’s early years of professionalism, with all the slings and arrows that had to be dodged. If Pienaar was lucky enough to have a front-row seat as rugby went professional, it was people such as the controversial Andy Haden who made things happen. Haden, who played lock for the All Blacks from 1972 to 1985 and for the then-all-conquering Auckland team, was a major thorn in the side of the rugby administrators of his era. In over 41 Tests of his playing career, he was one of the hardest men on the field. He was as much a nuisance off it, as on it; agitating for players to be paid and shaking up the way administrators ran the game. 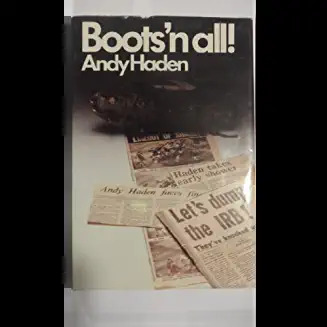 Many of his views — the book was written in 1983 — turned out to be prescient as Haden foresaw the success of a World Cup and professional rugby. Haden also wrote about what was the big issue of its time: playing ties with then-apartheid South Africa. He rationalised that for the All Blacks, playing against the Springboks was the ultimate challenge – whatever the rights and wrongs of breaking the ban against doing so. True enough, a year later, Haden was part of a rebel All Black tour that went to South Africa and lost the series 3-1. Many of them, including Haden, were banned from playing for a few games but returned to resume their All Blacks career. Haden’s last test was against Argentina in 1985. Written in Haden’s blunt, no-nonsense style, Boots’n All also provides insights into the inner workings of the All Blacks and Auckland, including the psychological tricks employed by All Blacks captain Graham Mourie (like when he runs past him saying ‘looks like so and so is getting the better of you‘). It also tells his side of the infamous incident in the match against Wales in 1978, when he was accused of having dived out of the line-out to win the All Blacks a late, and successful, penalty that gave them a 13-12 win. The victory denied the Welsh their first win over New Zealand since 1953. Forty years on, they’re still waiting. It is an indication of the kind of book this is that the foreword is written not by an expert on rugby or a famous player but by celebrity cook, TV personality and general bon vivant, Keith Floyd. Barnes, in rugby terms, would be of a similar ilk. He was the Danny Cipriani of his time, the cavalier who consistently played second fiddle in the selection stakes to much more prosaic rivals — in Barnes’ case, Rob Andrew. No doubts about who won that battle: Andrew was capped 70 times while Barnes snuck in 10 caps. But there is no doubt as to who was the more entertaining character, and not just on the field. 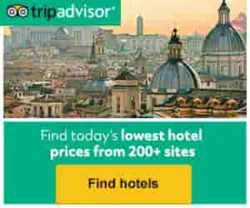 Andrew became an administrator while Barnes has carved out a long career as a colourful rugby commentator and analyst on the Sky Sports team in the UK, and for The Times newspaper. And their books were no contest either. 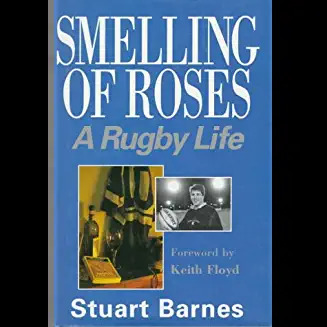 Barnes’ was an entertaining journey through his life in rugby, with myriad digressions into the finer things in life; especially wine, literature and song (Barnes is a Bob Dylan tragic). Andrew’s biography was your bog standard, paint-by-numbers book. Thankfully, Barnes doesn’t dwell too much on his rivalry with Andrew in the book. But he does take the reader on a right old ramble as he tells his life story, with a large chunk of it on the glory years of the mighty Bath club, for whom he pulled the strings at flyhalf. He is wordy at times and does sometimes pretentiously quote liberally from classic literature and fine prose. But there was a lot of substance behind the style, with a lot of his customary passion and humour thrown in. The first time I watched David Kirk play was in the 1984 final of the Hong Kong Sevens. He was part of a New Zealand team that was humbled 26-0 by a magnificent Fiji team in one of the most complete sevens performances ever seen. Two years later, Kirk was back. This time, with a team containing future 1987 Rugby World Cup-winning team-mates Wayne Shelford, Zinzan Brooke, Mark Brooke-Cowden, Frano Botica and Craig Green. Playing a style of sevens new to the world stage, and which detractors described as a form of rugby league, Kirk’s team smashed and outplayed all before them to win New Zealand’s first-ever Hong Kong title. It was to be just another box ticked by the driven Kirk. A year later, he became the first man to hold aloft the Webb Ellis Cup when he led the All Blacks to their first-ever Rugby World Cup win in Auckland 1987. 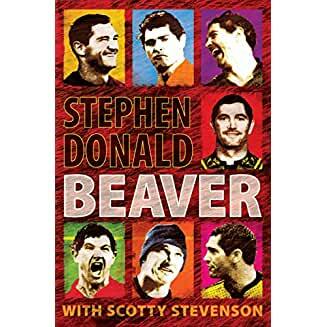 By then, he had already ticked another box in his life, attaining a medical degree from the University of Otago, before moving to Auckland to play for the famous blue-and-white hoops — hence the other meaning of the title of his book. The obvious meaning, of course, alludes to the brutal nature of rugby. Kirk writes on what makes rugby teams tick, including the need for thinking players in any winning team. He admits that he was never “one of the boys” in the All Blacks, seldom hanging out with them on a social basis. When the squad en masse organised a rebel tour to South Africa in 1986, he was the only one to withdraw on “conscientious objection” grounds, and was subsequently ostracised. He almost didn’t make the 1987 World Cup squad. But his speed and decision-making made him a tough man to leave out. And when captain Andy Dalton got injured just before the tournament, Kirk took over and became the face enshrined forever in history lifting the first World Cup. His All Black career, though ultimately sweet, proved a short one (17 Tests, including 11 as captain). As did his medical career. Next stop? Oxford on a Rhodes Scholarship to read Philosophy, Politics and Economics. Then came a stint as coach of his hometown team of Wellington, and work as a media commentator, before he became chief adviser to Prime Minister Jim Bolger. A corporate career beckoned, and he joined management consultant McKinsey & Co, and then Fletcher Challenge, one of New Zealand’s largest companies. That’s about where the book ends. But there was much more to come for Kirk. He went on to head companies such as printing company PMP, Australasian media giants Fairfax, and became chairman of cinema company Hoyts and his own investment company. While also writing the occasional newspaper column on rugby. 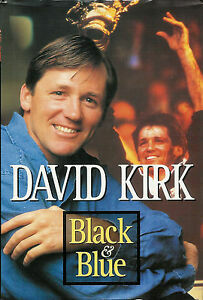 As rugby autobiographies go, Black and Blue deserves to sit on the top shelf for its writing, depth and well-argued viewpoints. And for being a generally interesting read. Also check out other rugby union books already reviewed on the blog. And if you have a strong preference for a rugby autobiography that is not on the list, please feel free to suggest. I’d be keen to check it out. Where normally I would recommend supporting independent booksellers, old rugby union books like some of the above are likely no longer in print. So the only practical recourse is sourcing it from individual re-sellers on Amazon. This is the only true benefit of a platform like Amazon when it comes to book selling i.e. 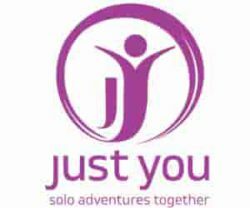 it is capable of maintaining a truly vast book listing, globally-sourced. So we must not discount its usefulness. And rather than let a great book fade into obscurity, the lesser evil is ordering from Amazon! So for these types of leaves, go ahead and order at will! Excellent article. Some good choices there, especially the Stuart Barnes and David Kirk books. Let me know what you think of those. That’s great. As long as you have the love of reading. I never play Rugby and see some Rugby games on the TV. I can see that there are so many heroes in this game. Their stories are inspirational. Most of them are not only good player, but also loving people. I will pay more attention to this kind of game in the future. Thanks for job well done! Rugby does contain some inspirational people. A good current example is former Scottish player Doddie Weir, who has been diagnosed with motor neurone disease (MND) and has devoted the rest of his life to raise funds for research into this cruel and incurable disease. He has come up with an autobiography too, called My Name’5 Doddie. Thanks forthis article i really enjoyed reading it, it was quite entertaining, I love rugby and I love reading the biographies of the former rugby players. To me I believe Brian moore to be the best rugby player ever. He was always ready to take responsibility on and off the field. And he is also very talented, we can all see the flares he has for the game. Brian moore will always go down as one of the best rugby player to have ever grace the pitch. Thank you for this post once again it was really enjoyable. Brian Moore was a good player but I think you overrate him. Thanks John. You were right and I have corrected the error you pointed out. We were actually there that day. Also saw the Wallabies knocked out the previous week. Riveting stuff! As for the books, they were all fascinating and the summaries kind of wrote themselves!